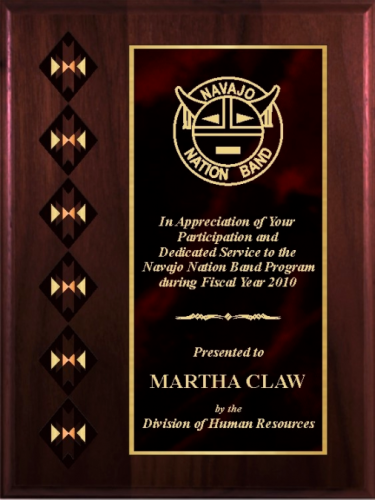 Cherry Finish Native Heritage Plaque features a Native American design, hand painted with gold and copper accents. Includes your custom logo. Cherry Finish Native Heritage Plaque 8" x 10"
Cherry Finish Native Heritage Plaque 9" x 12"